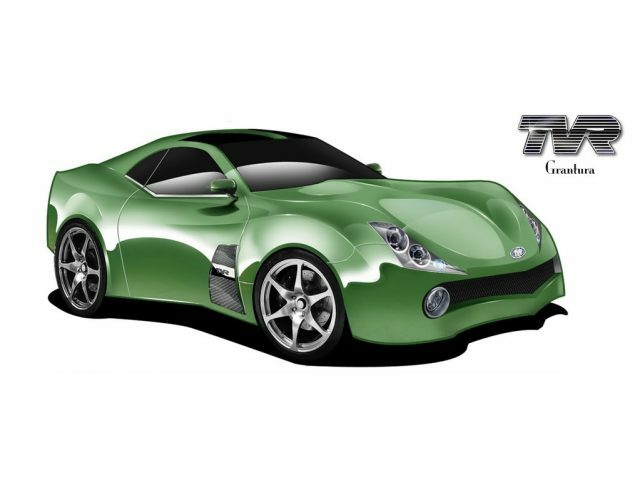 Home TVR Models New TVR Grantura? We’re waiting anxiously the new TVR. It was announced recently as a fantastic return. But it seems most part of TVR enthusiasts (English people, most of all) wouldn’t like to see this new car. The main reason is that the new TVR (whose name is totally unknown currently) would be built in Germany. In addition it will feature an American engine (in order to allow TVR to come back to the USA market officially) and a target price of 70.000 £. (not so cheap). Waiting for this exciting introduction (it’s said we’ve to wait for next Goodwood Festival of Speed, 2-3-4 July 2010) we found this rendering. If the new car will be called Grantura, this could give an idea of the style.